European Football Betting tips for Saturday afternoon. 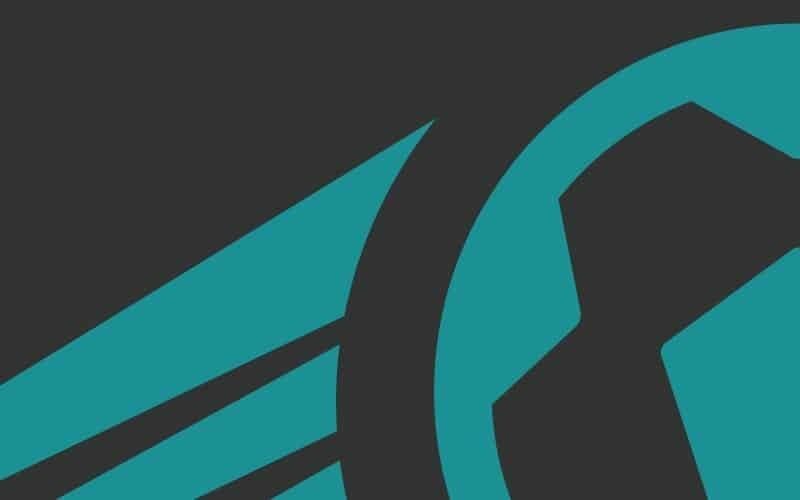 We’ve picked out three selections from across Europe’s top divisions, and we’ve included the reasons for each pick and a £30 sign-up bonus to spend on the action. 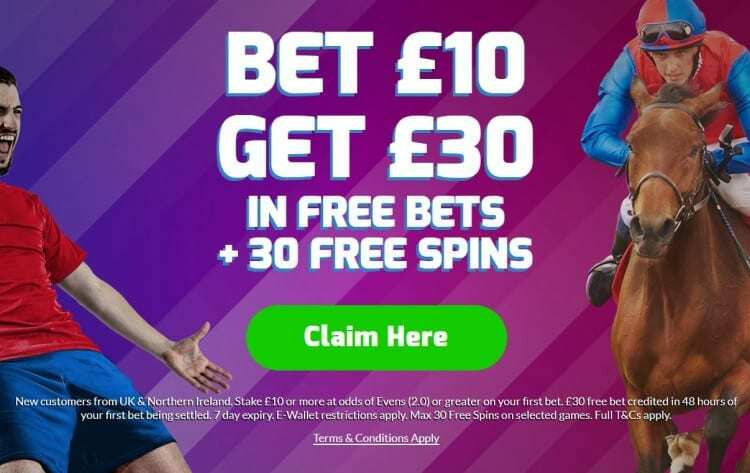 We’re using Betfred to bet on these EFL football tips and if you open an account with them this weekend, you will qualify for their bet £10 get £30 in free bets offer. The first of our European football betting tips for Sunday comes from La Liga with Bilbao expected to continue their fine run at San Memes. The hosts have been rejuvinated since Gaizka Garitano came in, and he’s managed to make them extremely hard to beat again in front of their own fans. Athletic Club are unbeaten here since October 5th, and they have picked up 21 points from a possible 27 since Garitano arrived in the Basque region. Today’s opponents Rayo Vallecano are embroiled in a relegation battle, and they need to start picking up points. They ended a long winless run last weekend against Valencia, but they may have benefitted from Marcelino’s men having one eye on their Europa League quarter-final match. They’re winless on the road since January 28th, and they have lost five on the bounce away from home. They have found the net in each of those games, and a Bilbao Win with BTTS would be a terrific way of getting more value out of an odds-on price here, but we’re sticking with a home win. The visitors have won just three times on the road with two of those victories coming against the two sides around them in the table. Bilbao are around 3/5 at the time of writing, but they’ve easily shown enough to suggest they can continue their winning streak at home. The second of our predictions takes us to the Bundesliga, and we’ve picked out an anytime goalscorer. Hoffenheim are very short, and are expected to easily sweep aside an inconsistent Hertha side, so we must find another way in here. Hoffenheim have been scoring plenty of goals in recent weeks, with 13 goals in their last five domestic matches. Ishak Belfodil has been heavily involved, and he’s hit a real purple patch. He’s fresh from his hat-trick against Augsburg last weekend, and should be able to add to his collection here. He’s on 14 for the campaign, and on recent evidence, he can reach the magical 20 mark before the season draws to a close. Nine of his 14 strikes have arrived since February 9th, and he’s scored five in his last two. He’s on a real hot streak, and should be backed in this contest. Hertha have conceded 12 goals in their last four Bundesliga matches, and are having issues at the back. 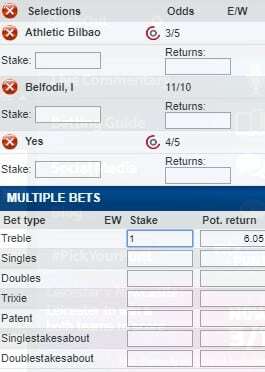 They should be rich pickings for the in-form Belfodil. After plenty of promise, Fiorentina’s season is in danger of petering out. Yes, they still have the second leg of the Coppa Italia to look forward to, but their quest for European football in Serie A has stumbled of late. There’s also been plenty of hubbub off-the-field with Stefano Pioli leaving the club in relatively controversial circumstances. The Serie A managerial merry-go round swings into action once more with Vincenzo Montella replacing the outgoing coach. There’s not a lot that the former Sevilla coach can do at this stage of the season, but he will be looking to build for next season. The Viola have plenty of goals in their side, but their defence has let them down time and time again. They failed to net against Frosinone last time out, but they have too much talent in their ranks to fire a second successive blank here. Bologna have benefitted from some recent managerial upheaval with Sinisa Mihajlovic giving them a fighting chance of staying in the division. The Rossoblu have won four of their last five matches, and are scoring goals again. They managed to net in Bergamo ten days ago, and they hit three past hapless Chievo on Monday night. They’ve only kept one clean sheet in seven away matches, and Mihajlovic’s side do like to play on the front foot. Both Teams to Score? Yes is the third of our European betting tips for Sunday. If you aren’t already a Betfred customer, there’s never been a better time to sign-up for an account. Betting £10 on today’s European Betting Tips will return £60.50 if it’s successful, but regardless of the outcome, you’ll get £30 in free bets to use on this weekend’s accumulator tips.